This is an inn where you can enjoy adult-only time. Time idles by slowly in this serene atmosphere in Hakone's Sengokuhara. Step foot into the lounge and listen to the nostalgic sounds of the record player that sets the warm mood of the space. Enjoy your welcome drink of cold-brewed coffee that was steeped for 5 hours as you sit and relax by the fireplace. With just 14 guest rooms, enjoy a spectacular stay with your special someone. The 120 cm wide spacious bed will provide a comfortable night's rest. In our special room with an outdoor bath, enjoy soaking to your heart's content as you enjoy the natural surroundings. For dinner, enjoy a full course kaiseki cuisine or order from the live kitchen. Enjoy the flavors of the seasonal ingredients. While in Hakone, one must enjoy the onsen experience. 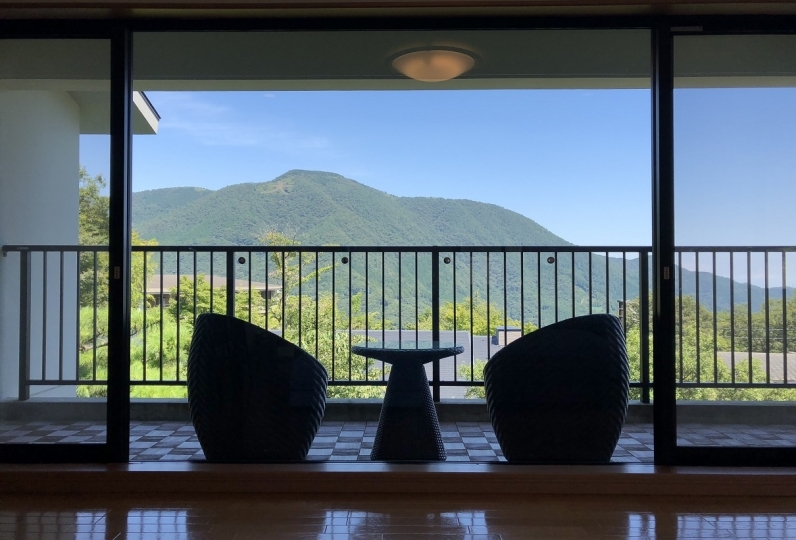 We offer a large communal bath with large, open windows and a spacious outdoor bath filled with the silky water of Gora Onsen, one of 17 baths of Hakone. 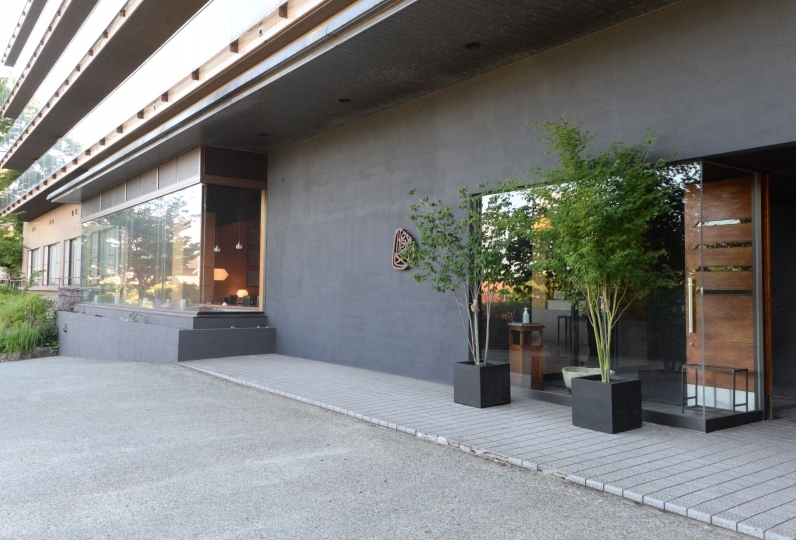 Enjoy a luxurious time at Hakone FUGA where you can enjoy a moment of healing in this adult-only space. 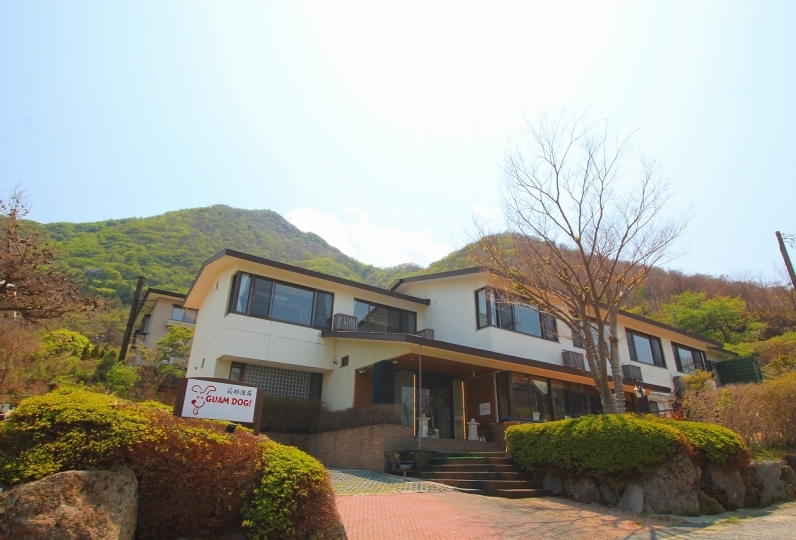 Rooms, facilities, meals, beds, hot spring, etc. In all, no complaints, I think it is a first-class inn. Hospitality of all of the staff Comfortable in all, many times, even days Such a wonderful thing that makes me want to stay It is an inn. Manager, also made cocktails myself Very delicious, at that time, the manager, Stay with me for a long time, The loneliness of traveling alone was also gone. Dishes use fruit with seasonal ingredients while making use of fruits I can not usually say something like a collaboration, It was full of great ideas. 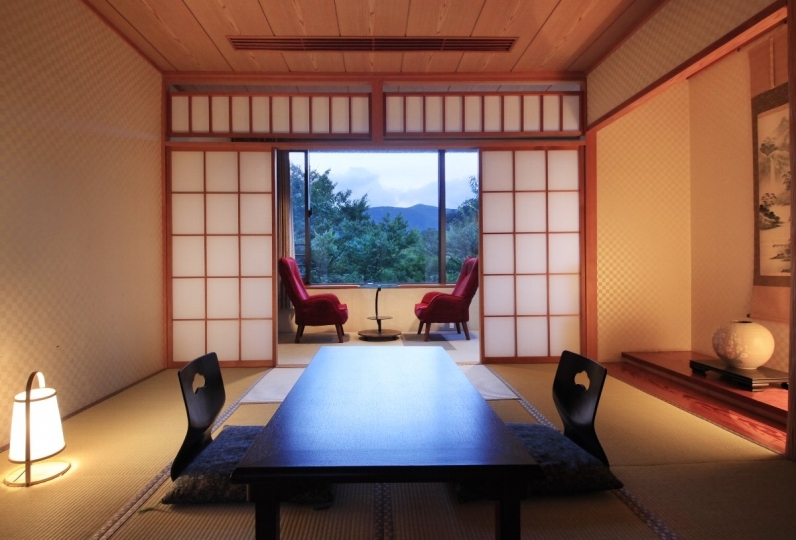 Also by all means I want to come and for all the different people I would like to experience this ryokan inn. It is a very good facility with a delicious and relaxed atmosphere! In addition, if there is an opportunity, it is an inn that you want to use by all means. It was a very nice hotel. I was very satisfied with the great service even in the simplicity that saved the waste. Blessed with the weather, I was able to heal leisurely and slowly. I want to go there again. For dinner, enjoy a kaiseki course that highlights seasonal ingredients or enjoy freshly prepared dishes from the live kitchen. The live kitchen is centered in the dining lounge and allows guests to watch the chefs as they prepare the dishes so that they can enjoy their meal with all five of their senses. 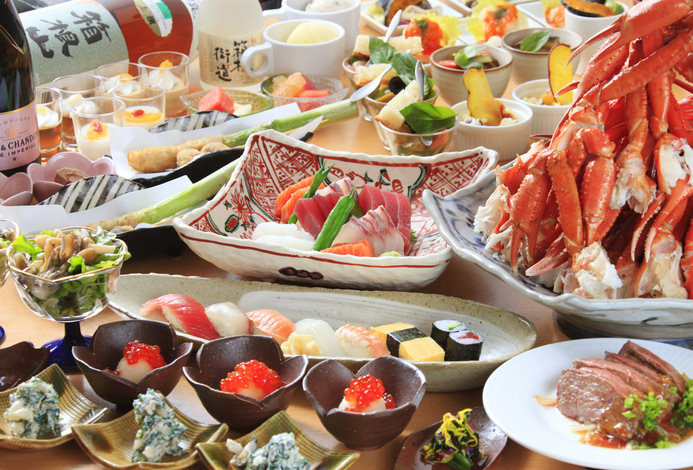 The traditional Japanese kaiseki course focuses on the quality of each ingredient. The chefs prepare delicate and refined dishes that represent each season. Enjoy each beautifully plated dish in our stylish atmosphere with the special people in your life. At FUGA, we are committed to presenting a special evening so that our guests are left with a smile on their faces. 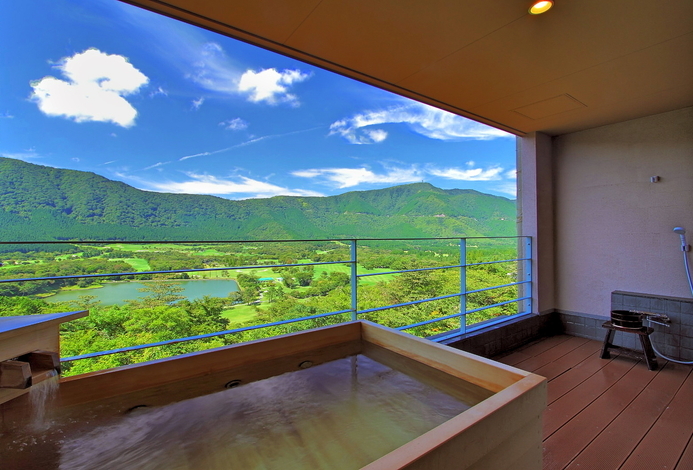 Enjoy the silky waters of what is referred to as one of Hakone's 17 baths in our spacious atmosphere. 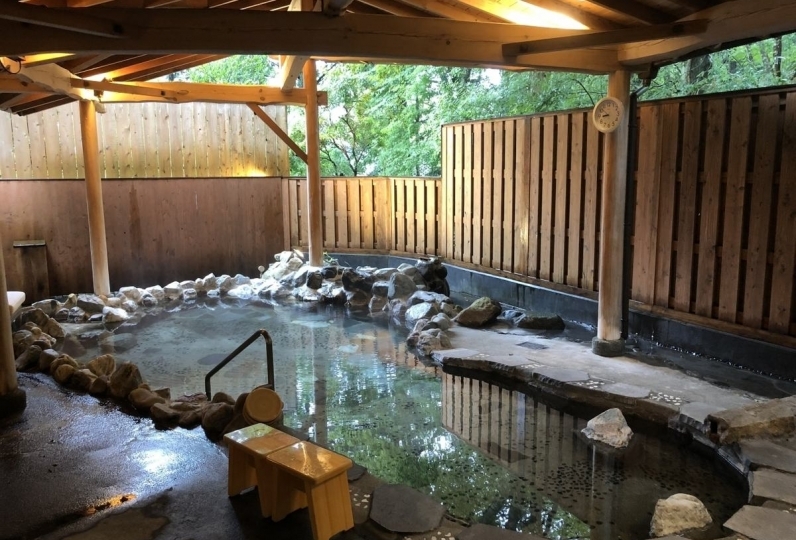 The sodium-chloride onsen is particularly effective in healing cuts and helps those who suffer from sensitivity to the cold. The high sodium content also helps to create a barrier over the skin and prevent evaporation of the skin's moisture, effectively providing moisturizing benefits. This same concept is also what helps people who are sensitive to the cold retain body heat. Additionally, the low alkalinity of the water, and a ph level of 8.6, removes dirt from the skin and exfoliates, resulting in the silky smooth skin. *Private outdoor Jacuzzi bath will be temporarily unavailable from December to March. Thank you for your understanding. We offer many features to ensure that you enjoy your adult time. The cold brew coffee is extracted over several hours and has a deep flavor and aroma. Our record player is paired with a high quality amp and speaker system so that our guests are welcomed with the rich sounds of standard jazz. 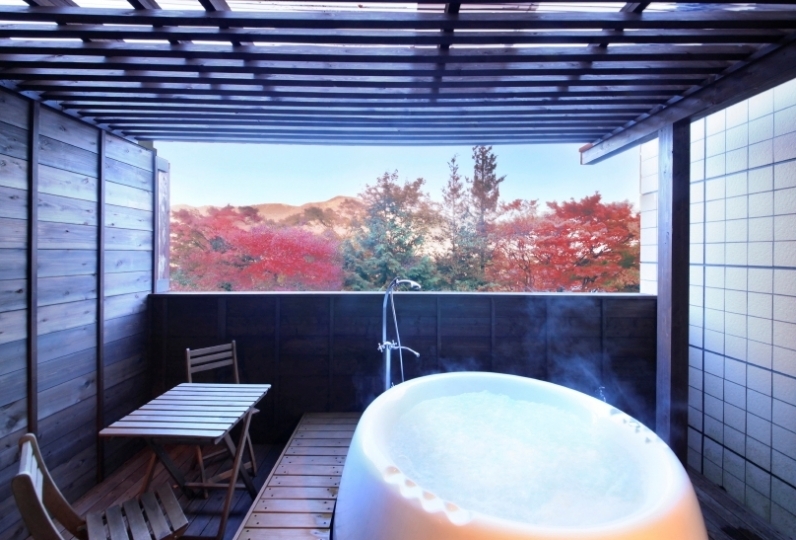 We also offer a private rental Jacuzzi where you can enjoy the natural surroundings in a private setting, a stone sauna so that you can detox your body, and the Gora Onsen, which is referred to as the water of beauty. 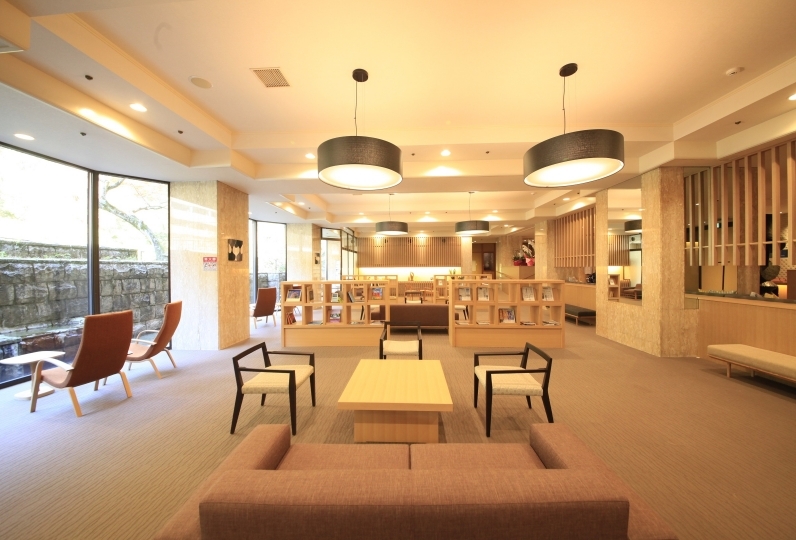 Come and join us at Hakone FUGA, for an adults only relaxing stay. 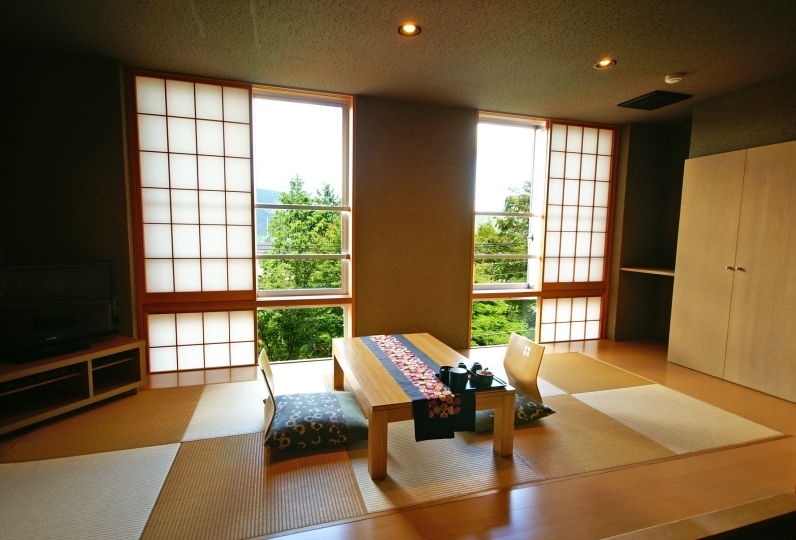 【Hakone FUGA】 is a small inn with just 14 guest rooms, located in Hakone's Sengokuhara region. Enjoy Fuga style original Japanese kaiseki cuisine with all five of your senses in our stylish dining area with a live kitchen. We offer many ways in which to enjoy your adult time...enjoy a drink in our lobby lounge as you watch the fireplace, take stroll through the silver grass, explore the arts, or play a round of golf. 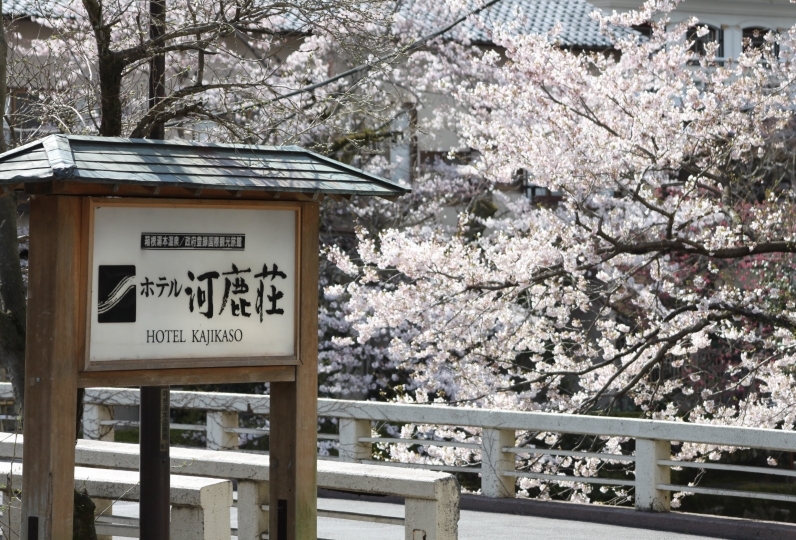 At Hakone FUGA, enjoy an adult time of leisure and healing. · If you have food allergies please let us know when you are making your reservation. · It will be handled as cancellation when check in time is past 17:00 if there is no contact. *It may take time to arrive if you book a taxi for the day of check in. I recommend you to book a taxi ahead of time. 203 of people have viewed this page within the past 24 hours.